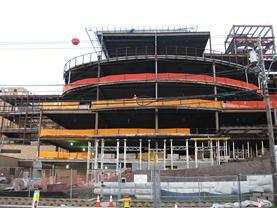 Fed Ex Expansion Hub, Woodbridge, NJ - Project consisted of 10,000 cubic yard 200,000 sqft. 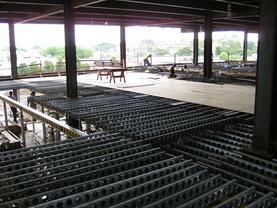 hub building with Pile Cap and Grade Beam foudation, 200,000 sqft. of Slab on Ground, and 90,000 sqft. of Slab on Metal Deck. St. Joseph Hospital Critical Care Building - 5 story addition to the St Joseph's Hospital in Paterson, NJ. Project consisted of a basement with 20 - 25 foot high walls, slab on ground and slabs on metal deck. 1st Floor Slab on Deck was a framed in place 1'-0" thick reinforced concrete slab incorporated into the structural steel framing. Other project features were numerous curved concrete curbs, pads, and stairs on the decks and a poured slab on deck for a helipad.